Same type of craft as the ZV-3, this is its older sister, developed far before than the ZV-3. Can easly get into orbit while still fighting bravely in the atmosphere. It also has a hidden clamp-o-tron Jr inside an airbrake. 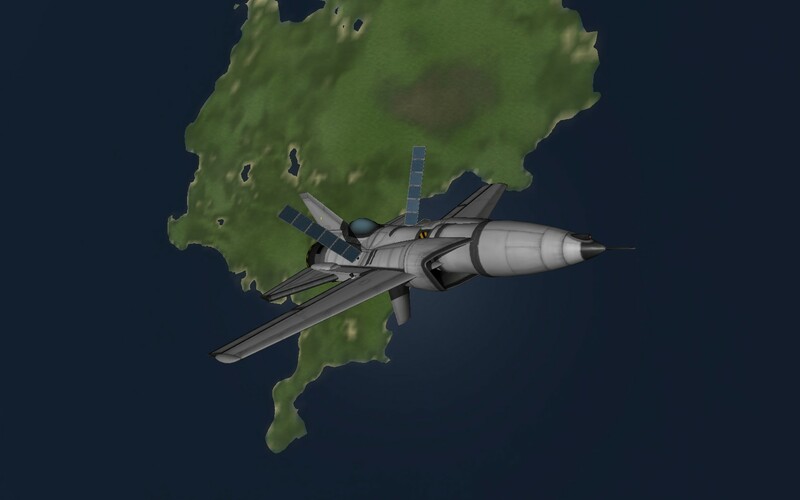 It has included drop tanks to add delta-V while in orbit, but it can still be an ssto without that extra fuel. This cutting edge technologies make Valentina be proud of the intelligence of her race. A stock aircraft called BBP f-5 SSTO. Built with 52 of the finest parts, its root part is Mark2Cockpit.